This is the Halloween Special version of Little Commander. This is an easy-to-play TD / defense game in a very cute cartoon style. 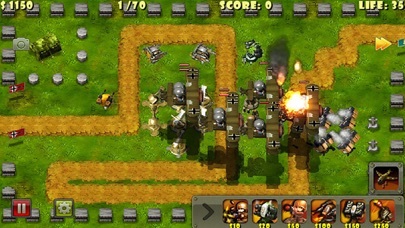 – Strong atmosphere of World War II, the cartoon-style graphic design and the excellent sound effect. – Real weapons in World War II are available in cartoon style: [Bazooka / 155mm Cannon / B-29 Bomber / Panzer VI Ausf. E Tiger / Zeppelin Airship]. – Easy to operate: drag and drop to build units; pinch to zoom in/out. – 75 well designed levels, and more are coming soon. – 6 different types of upgradable turrets. – 10 types of well designed enemy units. – 3 different eye-catching theme terrains. – Facility for newbie: enjoy the ‘free and easy’ casual mode! – Famous battles in WW II are available, including Normandy landings, Battle of Stalingrad, Poland blitzkrieg, Battle of Moscow, Operation Barbarossa, Battle of Berlin and many more. “Egypt Zuma – Temple of Anubis” – A Zuma game with egypt theme. 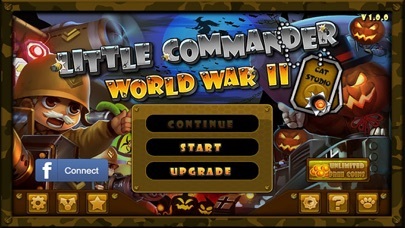 “Little Commander – World War II TD” – A TD game with very cute visual style. 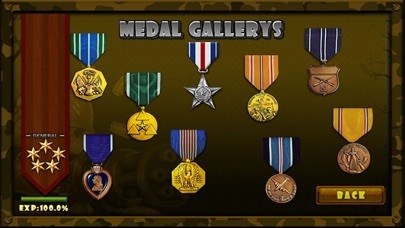 “Soldiers of Glory : World War 2” – Act as the Allied commander and win the WWII! 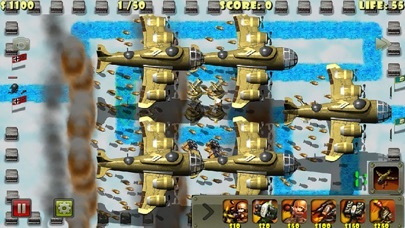 “Soldiers of Glory : Modern War” – A TD game that enemies could attack you back! 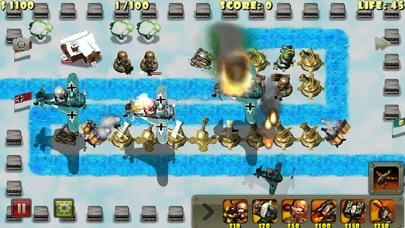 “Epic Defense – the Elements” – A TD game with war3 visual style. “Epic Defense 2 – Wind Spells” – the second work of Epic Defense series, more new elements! more new towers! “Galaxy Wars Defense” – A Space Sci-Fi TD with Stunning Graphics and Super Big Maps! “Marble Blast – Zodiac” – Another very good Zuma Game, and you can draw your custom levels!